Do it for the health of it. Pain and restricted movement keep you from living the life you want? Sports injuries, accidents, repetitive, actions on the job, and tension from everyday stresses can cause problems that, too often, take up permanent residence in our bodies. Sea salts are used to exfoliate and stimulate the body. This is followed by a hydrating body wrap, this rich, soft, warming balm leaves skin restored and hydrated perfect for dehydrated skin. While you are wrap in the hydrating mask you will receive a luxurious scalp, face and neck massage. Clay Body Mask is loaded with natural ingredients of plant extracts, trace elements, minerals, and vitamins that work to detoxify, stimulate blood circulation, and increase lymphatic movement for firming, detoxification, and cellulite reduction. Pamper your body with a deep cleansing clay mask that draws out impurities while leaving you feeling soft and freshened! A 50 minutes session that involves a long, flowing strokes using light and medium pressures to help relax and distress mind and body. 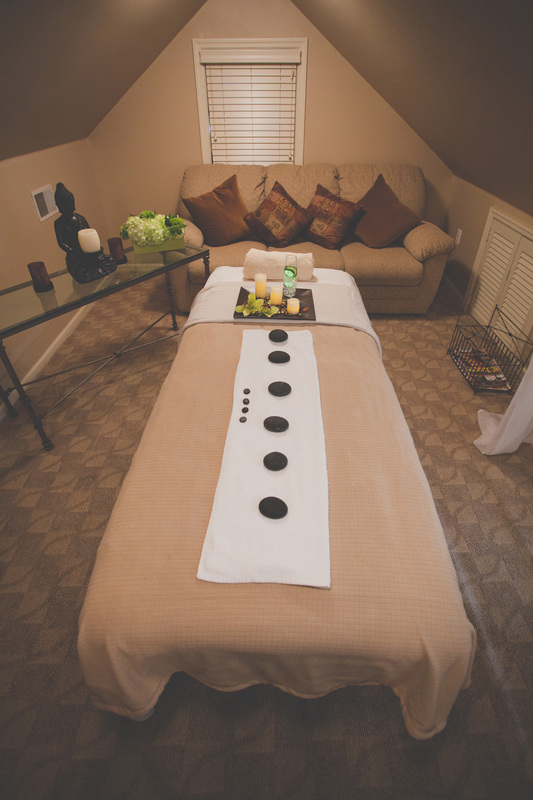 A combination of essential oils is used while receiving a soothing Swedish massage. Different sizes of warm stones with essential oils are used to help increase your circulation and create a deep relaxation of mind and body. using deeper pressure, the therapist manipulates muscle and tissue to relieve specific aches, pinched nerves, and various other tissues, thereby creating better alignment within the body. Balance your active routine with stretch. It’s a great way to loosen tight and overworked muscles and speed up recovery time after workouts. Increase flexibility, range of motion, improve performance, reduce aches and pains and improve posture. Clients stay fully clothed and remain passive while the therapist performs assisted stretches on a table. full half-hour focusing on an area of the body that concerns you the most. An application using appropriate pressure to specific points of areas on your feet to address different body organs and systems. Those points are massaged to encourage health within. A special exfoliating treatment that removes the excess of dead cells from body leaving your skin smooth, glowing and refreshed. Cupping is excellent for releasing the tightness and stiffness of scars, muscles and fascia. Releasing scar tissue can help with range of motion and reducing scar sensitivity. It also helps the scars to lay flat and have a less puckered appearance. How is Massage Cupping therapy done? The cup is positioned over the area of your body being treated and suction is created using a silicone or glass bulb using a Cupping machine while massage movements are performed with the cup. The suction level can range from light to heavy, and the movements can be stimulating or sedating depending on the treatment. Also it can be perform with stationary cups that are placed on your skin and left for a period of five to fifteen minutes, and the cups may also be moved over the area. Massage cupping can decrease or relieve pain and inflammation from injury or chronic conditions.Relieve deep muscular issues and reduces muscle knots and tension. Release and soften scar tissue and loosen post-surgery adhesions. Lift and stretch soft tissue to separate fascia and restrictions.Increase range of movement and flexibility. Help with cellulite.